12 year NNN Leased Investment Property located in Downtown Yakima. 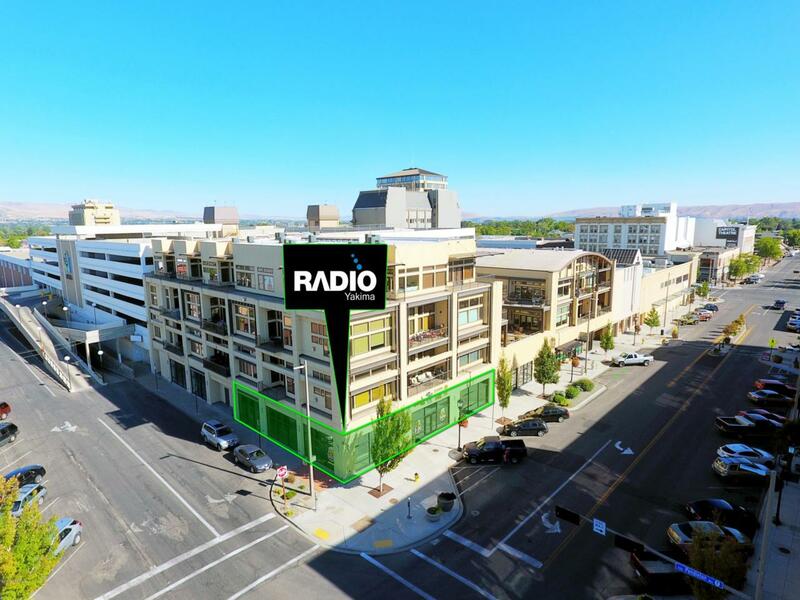 Leased by Radio Yakima, this 5,657sf, 8 radio station/office space rests on the main level of Yakima's premium downtown condominiums. This showpiece of a space is being offered at a 7% cap with a NOI of $111,720 (after factoring 5% for credit loss/vacancy and 2% capital replacement reserves). Current lease expires January 1, 2031. Tenant has 3 options to renew at 5 years with CPI increases at each renewal. Listing provided courtesy of Matt Kloster of Almon Commercial-Residential Real Estate.